Happy Sunday! I'm delighted to welcome Green Rainbow Shop, an online eco boutique, as a new sponsor. It's wonderful to share with all of you this great source for green goods for the entire family, pets included! I pulled some of my favorite items for this post, it wasn't easy... there were many to choose from, but oh, was it fun! I've been wearing a lot of tunics this fall (over jeans... leggings...) and that Mod Hoodie/Tunic Dress, made from bamboo and organic cotton, is calling to me. 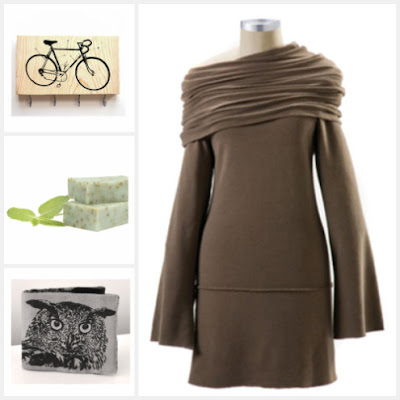 Along with lots of other green clothing and accessories, they feature wares for the kitchen, bath, and the whole home. 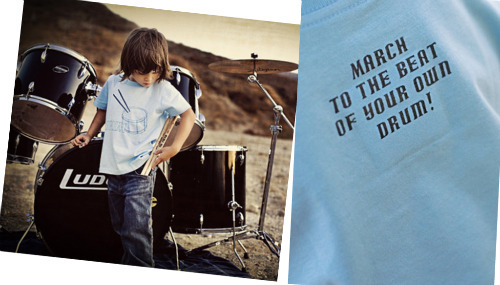 And there's cool stuff for green kids, too... love this shirt! 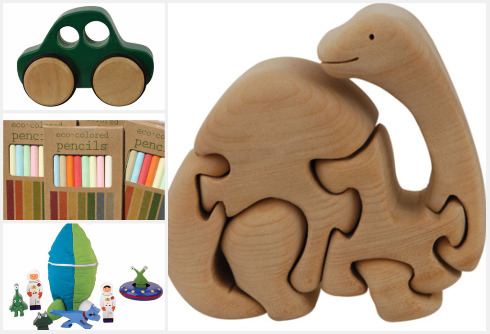 Green Rainbow Shop also features a selection of organic baby bedding and natural toys, including art supplies. That Brontosaurus caught my eye instantly (not just because of its sweet, gentle smile)... it's a puzzle AND a kit! Comes with watercolors for decorating, and you know how much we love painting with watercolors on wood!! So go take a look, and keep them in mind the next time you want to purchase a thoughtful gift for someone special... including yourself! Have great a beautiful day! It's a gorgeous 3 day weekend here in the northeast and we're off to frolic under the flaming foliage. It's always good to have another eco-friendly shop option. I'm really liking what I see! Thank you for sharing this great gifts,LOVE it all! Found a gift for my 7 year old son for Christmas, so hard to find age appropriate eco friendly gifts as they get older.